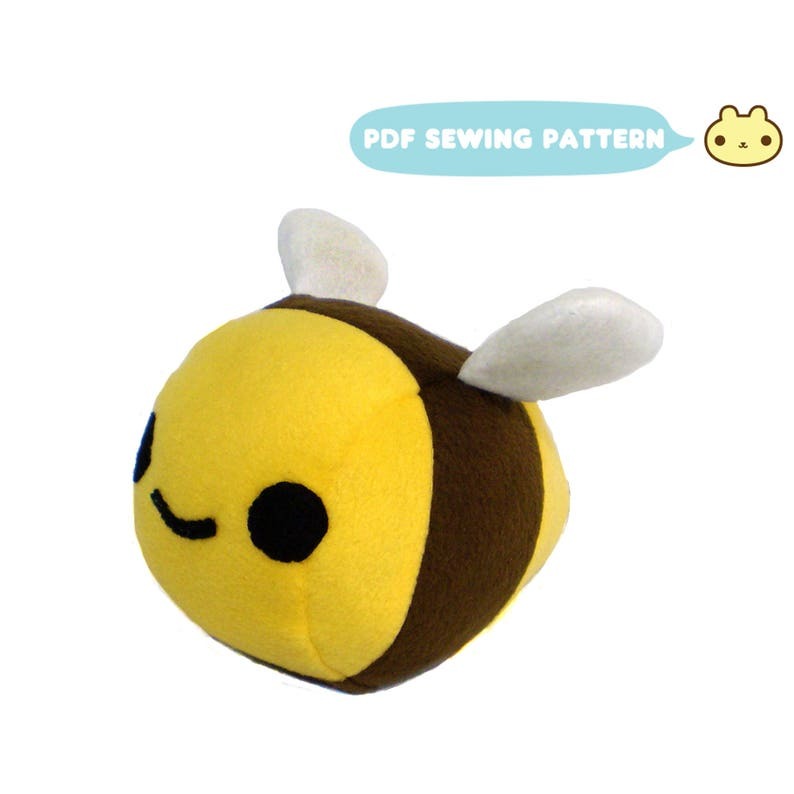 Sewing Pattern - Happily buzzing into your arms for a big plushy hug. This little bee is too cute to let it buzz on by. You can make your very own plush bee using this bumble bee sewing pattern! This PDF sewing pattern includes instructions and patterns to make the toy pictured. THIS IS NOT A FINISHED TOY. THIS IS AN INSTANT DOWNLOAD E-PATTERN. Sewing machine recommended with hand sewing details.
. Step by step, full-color photo tutorial for the plush toy.
. An illustrated hand stitching guide.
. A materials and supply list.
. Full sized pattern ready to print. No print scaling is necessary. Items made using this pattern may be sold in your shop. Please include a message or tag that says "Made with a Chebeto Pattern". Mass production, resale, and distribution of any part of this pattern and instructions is prohibited. By far the best homemade bee plush I’ve ever seen, and the pattern was easy to understand. Great product! Easy-to-follow pattern and adorable end product! Made this for a friend and they loved it!